I like when things come together with few ingredients. Simplicity is always appreciated. I don't like peeling and chopping butternut squash. But I'm glad I did last night. 2. It's a tiring and laborious extra step that makes you question cooking dinner to begin with. You can always get fast food and it would be fast, tasty, filling, and my favorite...salty. I won't lie, chopping this squash felt like number 2 (pun intended) last night. 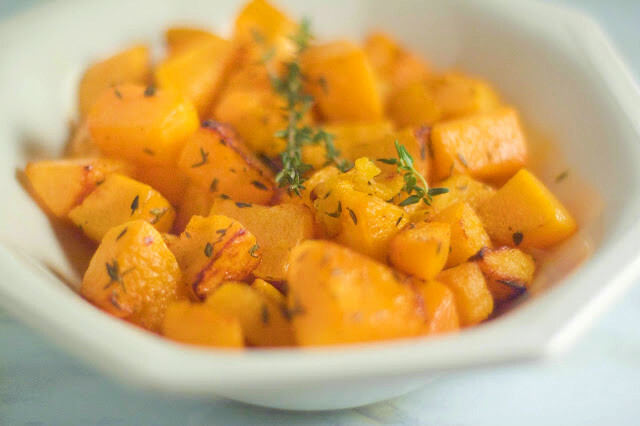 Even before I started dinner, I thought about just going to pick something up to eat & not go through the ordeal of preparing the squash to roast. But I sucked it up & made a delicious meal. I made stuffed portabella mushrooms & this roasted butternut squash as a side. Like I said, I'm glad I did. Even though I wasn't looking forward to the work, I was so happy in the end & it felt satisfying to whip up a tasty meal after a long work day and fighting the temptation to just order in. This is the perfect low-key side to pair with any of your fall main dishes. Not overpowering but still satisfying. Preheat oven to 425. 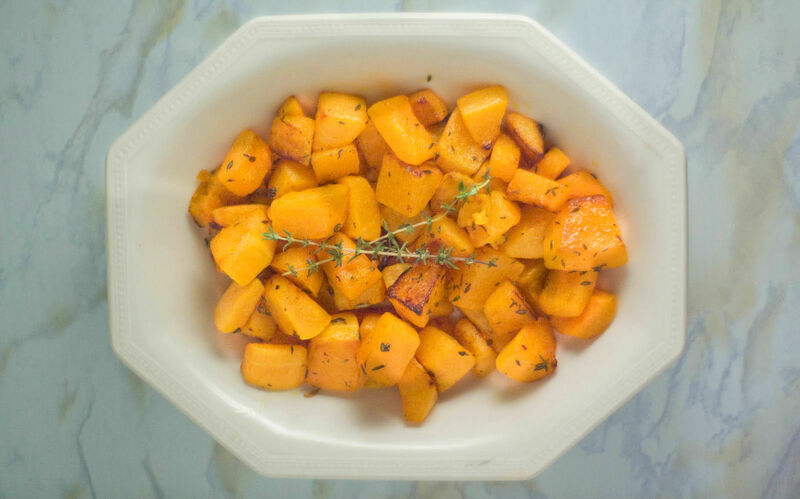 Place prepared butternut squash in a large bowl and toss with oil, lemon juice, & thyme until evenly coated. Season to taste with salt. Spread on a baking sheet & cook until tender about 25-30 minutes.